Meet NEOCULTURA´s international partners – remarkable companies that rely on us to supply their products and services in Brazil and South America. From our partnership with the French company ORPHEO, we have acquired a wide experience in international trade. As the exclusive distributor of ORPHEO audioguides and multimedia guides in Brazil, for more than a decade, we have already sold more than one thousand devices. The audioguide and accessibility solutions correspond to 80% of our workforce, and are the flagship of our operation involving cultural and tourist attractions in Brazil. 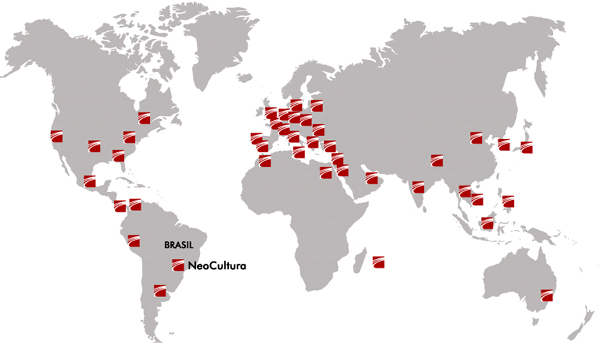 And now, NEOCULTURA is expanding its activities to other South American countries. See below around 50 countries where you can find an ORPHEO NETWORK PARTNER. 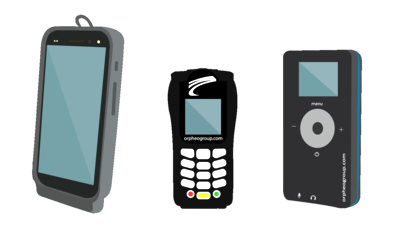 The ORPHEO audioguides are already used in more than 90 countries around the world. FIND OUT MORE about the ORPHEO equipment distributed by NEOCULTURA. We are the exclusive distributor in Brazil (and dealer throughout Latin America) of EZTOK full duplex intercoms, commonly used by sports (soccer / football) referees. This innovative solution extends to other business areas, such as construction, private security, sports training, and so on. Korea’s technology companies are recognized today for being extremely innovative. READ MORE about the BICOM equipment distributed by NEOCULTURA. We have exclusive representation in Brazil for the SITUATE platform, designed by the English company LLAMA DIGITAL. The SITUATE platform is used for developing tailor-made applications (APP). Previously, we developed customized APPs. However, due to this partnership, NEOCULTURA is able to go one step further. 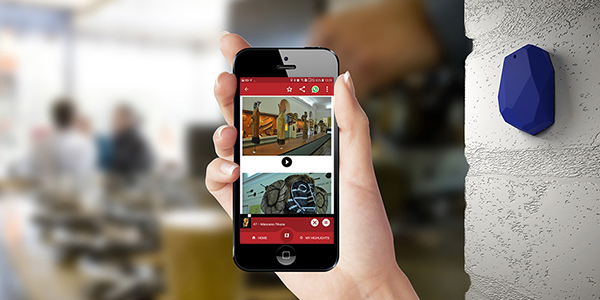 We have just launched our own APP, called MUSEUSBR. 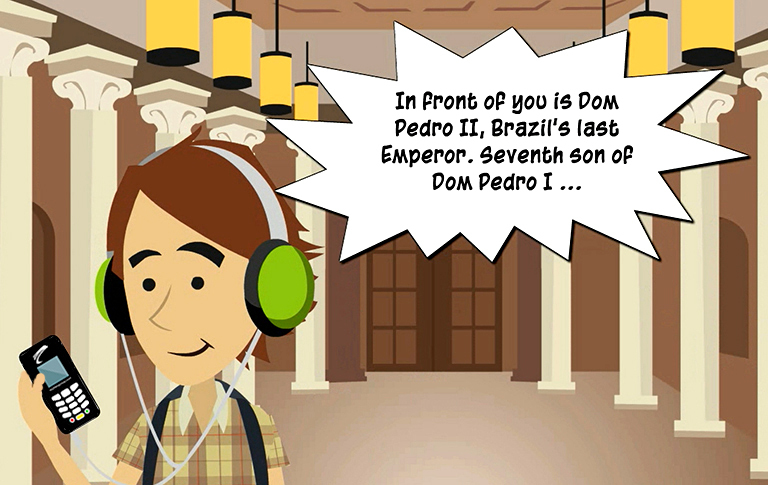 It aims to be an audioguide content repository for Brazilian museums … and Brazilian tourist attractions. 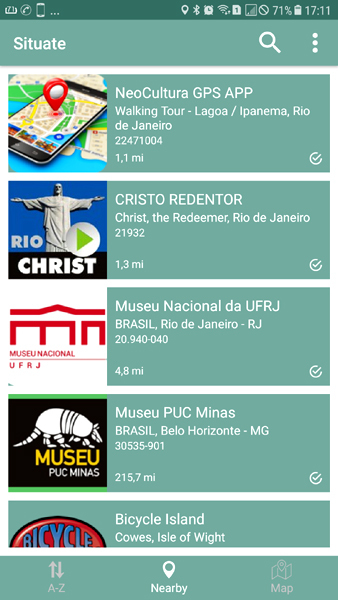 Apart from lower cost, when compared to branded APPs, MUSEUSBR also generates synergy between institutions, so that each one helps to spread the others´ content. And it is totally free to users. 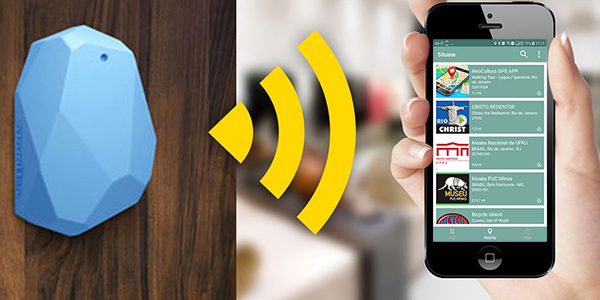 Each customer content can be accessed by a LIST of points of interest, a MAP, or be automatically activated by BEACONS or GPS. We are the exclusive distributor in Brazil for Ready2Talk PA systems, a Canadian manufacturer. In researching low cost solutions for sightseeing companies in Brazil, we found the Ready2Talk products. These products provide a quality hardware solution for buses, boats, vans, trains, … and create a good opportunity for placing our audio productions in sightseeing vehicles. Ready2Talk low-cost solutions increase the driver´s security, enabling emergency messages that override the pre-recorded tourist messages (or ambient music) with excellent quality. READ MORE about READY2TALK equipment distributed by NEOCULTURA.